You have probably come across files with .rar extension, but may not know what they are and may not be sure about what program should be used to open them. Chances are that even if you try to open the file, you received a message telling you it is not possible. The .rar file extension can refer to different kinds of files and in order to open them – If they are in a format that can be viewed – you would need to be able to identify the corresponding type of file. RAR are data container archives that can store multiple compressed files. RAR is the format of compression program WinRAR, which is a convenient archive manager that allows you to backup files and reduce their size so that you include them as email attachments. You can create archives in RAR and ZIP file format or decompress and access files in these formats that you have downloaded from internet. When you create a RAR file in any program, you can protect its content with a password. The problem is that if you forget the password you would not be able to get access to the file and the chances of that happening are quite high, given that nowadays, we use passwords for practically everything. That is why there are programs available to help you recover the password for your encrypted RAR archives. RAR password recovery programs work by cracking the secret code, using all the possible combinations of numbers, letters and symbols. The legitimate purpose of these programs is to recover the password that you have created to keep your files private and it is important to ensure that your use of the tool is within the law. RAR password recovery tools are completely legal and there is no reason of concern, as long as you have valid reasons to use them and stay with the limits permitted by law. Keeping that in mind, you will be able to benefit from these handy applications that will let you get back your lost password to access RAR files. Here are some of the best solutions available. Password Unlocker is a powerful, secure and effective solution for recovering your WinRAR/RAR passwords. The tool can come to your rescue when you simply can’t remember how to access your RAR archives. It is a fast unlocker that allows you to get back your passwords quickly in order to gain access to your encrypted RAR archives created by any tools. RAR Password Unlocker is free to download and supports multiple languages. The tool is capable of completing the recovery process with impressive speed through three attack options: Brute-force, Brute-force with customized Mask and Dictionary. Brute-force Attack allows tries all possible password combinations in case you have forgotten every detail of the password. This can happen if archive has not been used in such a long time that you have no idea what password you used. Brute-force Attack with user-defined Mask is the ideal option when you can specify the length, character set and other aspects of the password. This will reduce the recovery time, making the process more efficient. Finally, Dictionary is the option that allows you to recover your lost RAR password by trying different combination in the built-in dictionary. 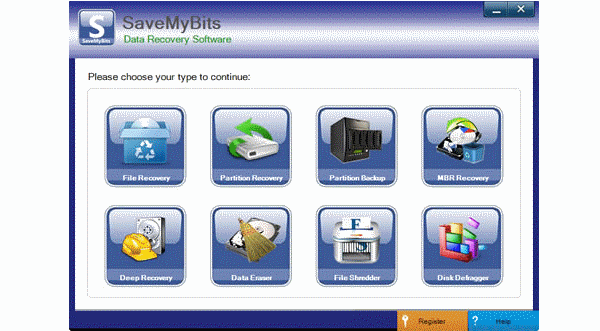 KRyLack offer a free password recovery tool that helps you to get back access to your RAR files. The installation process is simple and fast, but the interface is not as straightforward and easy to use as it should be. While the tool is effective, new users will take a while figuring out how to use it. Still, KryLack is a good solution that offers useful features such as support for Multi-Volume RAR archives, as well as for archives that only contain one encrypted file or those with encrypted Filenames. The program works with all RAR version, including v3.0 and v4.0. With KRyLack RAR Password Recovery, you can choose the recovery mode between Brute-Force attack, brute-force with mask and dictionary. You can also specify the character sets used for the encryption – symbols, Latin alphabet, caps or numbers – to narrow down the recovery and there is no limit in the length of password that can be recovered. There is also an Autosave password search mode to resume the recovery process in case the program crashes or is interrupted.